The Bhagwan Mahavir Hospital Recruitment 2018 Notification is out for 18 Sr Resident Vacancies. Interested job seekers can attend for Interview on 10th January 2018. Aspirants who are looking for latest Central Government Jobs can clutch this opportunity and apply for Bhagwan Mahavir Hospital Recruitment 2018. The Bhagwan Mahavir Hospital officials are clearly mentioned in the official notification the applied aspirants must go to the interview on 10th January 2018. More information such as Education Qualification, Age Limit, Age Relaxation, Application Fee, Salary Details, Important Dates, Important Links and How to Apply steps are briefly mentioned in the below. So, candidates must simply scroll down and refer the entire details about Bhagwan Mahavir Hospital Sr Resident Recruitment 2018. If you are looking for Central Government Jobs then look at this page and apply for Bhagwan Mahavir Hospital Recruitment 2018. Aspirants should complete their MBBS Degree from any recognized university with PG. diploma/ DNB qualification. Also, 3 years experienced candidates in concerned specialty may be considered. Job Hunters who completed their MBBD Degree and seeking for government jobs then immediately apply for Bhagwan Mahavir Hospital Recruitment 2018. We furnished complete information about Bhagwan Mahavir Hospital Sr Resident Jobs 2018 in this section. The given details are officially released by Bhagwan Mahavir Hospital. So, candidates can also refer the official notification which is dropped at the bottom of the article. Moreover, applicants must attend for interview on 10th January 2018. After releasing the advertisement most of the people did not find proper information on the internet. For that purpose, we gather entire stuff and explained in a detailed manner. By going through this article you can find more details about Bhagwan Mahavir Hospital Recruitment 2018. Bhagwan Mahavir Hospital is released a new notice to recruit capable candidates for 18 Sr Resident Vacancies. 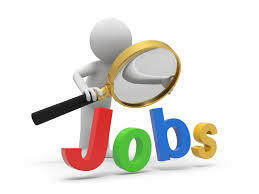 As per the latest news, a huge number of peoples are shown their interest to get a job at Bhagwan Mahavir Hospital. Now the Bhagwan Mahavir Hospital Recruitment 2018 is issued. Without wasting your time check this article and get the whole update about Bhagwan Mahavir Hospital Sr Resident Vacancies 2018. As on the interview date aspirants, the age limit for General category people is 40 years and 45 years for SC/ ST and OBC candidates age limit should be 43 years. The Upper Age Relaxation for OBC/ SC/ ST/ PH/ PWD aspirants is as per government rules and regulations. After checking the eligibility criteria candidates who are suitable for Sr Resident Post they can utilize this offer and attend the interview on a scheduled date that is 10th January 2018. Want to know more genuine information than simply scroll down this page. If you are not satisfied with this information then visit the official website of Bhagwan Mahavir Hospital. If you have any doubts just drop a comment in the below comment section. Want to know about Bhagwan Mahavir Hospital Sr Resident Recruitment 2018 Notification? then reached a right place to get the complete details. The Bhagwan Mahavir Hospital is conducting interview process on 10th January 2018. Before filling the details once refer the information. As per the notification, candidates need to pay the prescribed application fee. Refer the notification and check application fee details. The applicant’s selection process is purely based on Interview Round. Those who perform well in the interview round they will get a job at Bhagwan Mahavir Hospital. Interested and willing people can attend for Walk-in-Interview on 10th January 2018. Other details like Eligibility Criteria, Important Dates, Salary Details, Application Fee, Age Limit, Important Link and much more data is updated here. Aspirants whose dream is to settle down in a government sector they can perform well in the interview round. Visit our website SarkariRecruitment.com daily and check latest and upcoming Central Government Jobs. If you are not suitable for Bhagwan Mahavir Hospital Sr Resident Jobs 2018 then apply for latest government jobs. The official website of Bhagwan Mahavir Hospital is www.bhagwanmahavirhospital.com. Candidates must complete their MBBS Degree from any recognized university with PG. diploma/ DNB qualification. Also, 3 years experienced candidates in concerned specialty may be considered. Candidates age limit for General category people is 40 years and 45 years for SC/ ST and OBC candidates age limit should be 43 years. The Upper Age Relaxation for OBC/ SC/ ST/ PH/ PWD categories is as per government norms. Refer the notification and view upper age relaxation details. Interested candidates must attend for interview on 10th January 2018. Aspirants who perform well in the interview round they will be selected for Sr Resident Post. Candidates must refer the official notification and check application fee details. Selected candidates for Sr Resident Post will receive good salary package offered by Bhagwan Mahavir Hospital officials. At first, refer the official website of Bhagwan Mahavir Hospital www.bhagwanmahavirhospital.com. Seach for Bhagwan Mahavir Hospital Recruitment 2018 Notification on the home page. Now read the complete information on the notification. If you are suitable for Sr Resident posts then attached a required documents. And attend for walk-in-interview on 10th January 2018. The Walk-in-Interview venue address is provided below. Room no – 133, Bhagwan Mahavir Hospital, GNCTD, Pitampura, Delhi-34. We hope the above given information is useful for you. Interested candidates for Bhagwan Mahavir Hospital Recruitment 2018 must go to the interview on 10th January 2018. Candidates can connect to this web page and get more updates about Bhagwan Mahavir Hospital Sr Resident Jobs 2018. Exam Takers can easily view their results status on Sarkari Result.